Following last month’s presidential election, there has been a prominent case made for the value of radical activism. While that may be true, the truly radical approach that will protect all of us threatened by a Trump presidency, including those most vulnerable, starts a little closer to home. The collaboration and cooperation fostered at Mills has only grown stronger in recent weeks and will hopefully continue to do so. Even community members who meet the fewest of Trump’s criteria for discrimination are threatened by his imminent presidency. Trump’s philosophy of life is directly antithetical to our community’s on every level. There is currently a push for schools, government agencies, activist groups and other institutions to make big, bold statements about how unwelcome a Trump presidency is, and it is certainly important to do so. Particularly in education and particularly in a progressive pocket of the nation, it is necessary to dissent and make our voices heard to prevent a perception that Trump’s views are at all representative of ours. 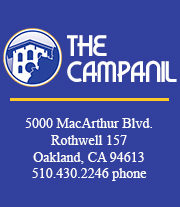 For this reason, we at The Campanil support the petition, demonstrations and other efforts from students and faculty urging Mills to officially declare its position as a sanctuary school. It is important that our most at-risk community members feel as safe as they possibly can, and it is important that we take a firm stance on ensuring that. inclusivity, solidarity and a shared desire to make the world a better place, emerged as a beacon of hope for those of us lucky enough to be here in the days following the election. The pure love and support felt on campus has been more powerful than any loud statements ever could be, and its perpetuation will hopefully be the foundation and driving force behind any loud statements we do make. Despite the recent outpouring of love and support though, it is necessary to realize and account for the fact that we are still living in stressful and divisive times. Everyone is affected differently by this past election’s outcome, which is made particularly evident in a community as diverse and far-reaching as ours. History has demonstrated that while people are often moved to kindness and solidarity towards each other in the wake of tragedies, this attitude rarely lasts long before being dissipated by alienating cultural forces. We do not want to see that be the case at Mills. Moving forward, we hope the sense of solidarity and unity that has been strengthened by adversity will continue to grow. Despite the cliche, we feel that healthy, open communication is our strongest weapon against the current political climate that has itself emerged from faulty, dysfunctional communication on a massive scale.